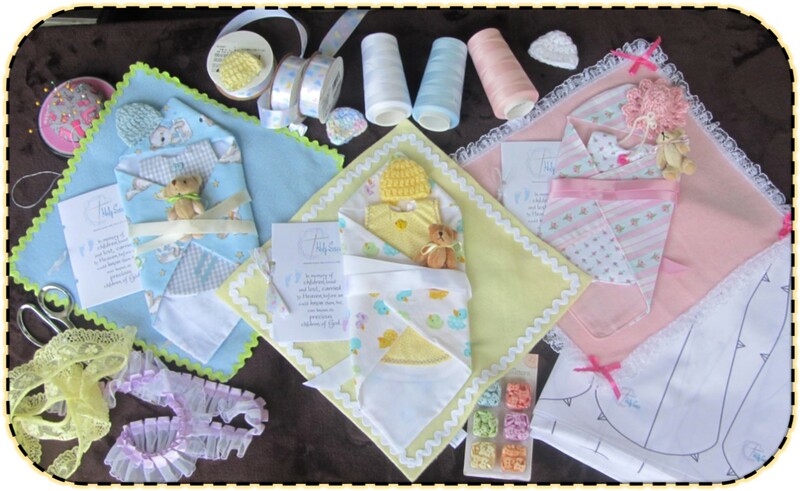 Holy Sews provides handmade infant burial clothing for families that experience the loss of their baby during gestational weeks 16-25. These micro preemie babies are much too tiny and fragile for any other clothing that is readily available. We accomplish this by supplying hospitals and funeral homes with a stock of layettes that families can choose from. All of this is provided at absolutely no charge to the hospitals, funeral homes, or the families that they serve. We are entirely funded by donations and all of our garments are made by volunteers. Click here to find activities to get involved.